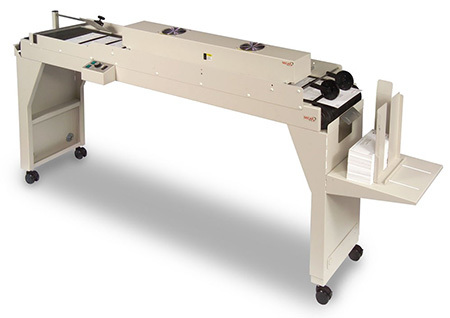 The Secap TCD 72 is a powerful conveyor/drying solution ideal for desktop printers. The integrated high capacity fans provide excellent control of media on the perforated transport belt. The 2000-watt dryer improves the drying speed of HP ink on a variety of materials including glossy and coated stocks. Up to 36,000 #10 envelopes/hr. Power: 120 V.A.C. 50/60 Hz.